Are signs on the wall signalling the death of diesel cars? Ominous results made public by the authorities in the United Kingdom, Germany and France this past week show that emissions controls in diesel cars are not working in major markets. Car companies are struggling to keep nitrogen oxide emissions of diesel cars within legal limits when on road. While it is technically possible for diesel cars to meet the clean emissions standards set by these governments, in reality they are not performing on roads and emitting profusely more than the official limit. This has unleashed serious backlash, forcing governments to tighten the regulatory noose around diesel cars and even bar their entry into low emissions zones in city centres. It is disturbing, therefore, that while all major vehicle-producing countries, including the US, Germany, France, the UK, South Korea and China, have cracked down on car companies to verify actual on-road emissions of diesel cars after the Volkswagen emissions scandal last year, India has done nothing. After the secret probe into Volkswagen models in India, no further tests were carried out on other diesel car models. This is worrying as the share of diesel cars is rising rapidly in India’s polluted cities in the face of mounting health evidence of the toxic effects of diesel emissions. Take note of the new report of Health Canada of the Canadian government in March 2016, which has provided chilling evidence on cancer and non-cancer effects of diesel emissions on respiratory, heart, and immune systems. It states that if people spend 6 per cent of their time in microenvironments with high traffic and high pollutant concentrations, it can result in daily exposure to as much as 21 per cent of the black carbon. California, even after meeting the most stringent emissions standards, has again re-estimated the cancer risk from diesel emissions in 2015 and found that it is stunningly high at 60 per cent. The World Health Organization (WHO) has identified diesel emissions as Class I carcinogens—same as tobacco and asbestos. Diesel emissions exposure also leads to increased risk of wheeze and asthma in children. Over the past week, several reports have been made public by the UK, French and German authorities. The test results have confirmed that the NOx emission performance of Euro V and Euro VI diesel cars continues to be poor. The UK results show that 97 per cent of all modern diesel cars emit more toxic NOx on road than the legal limit. As high as a quarter of them are emitting several times more than the limit. The test results released by the department of transport, UK, have found large scale violation of NOx standards in both Euro V and Euro VI diesel cars. While all these vehicles passed the certification tests, they failed to comply on the road. Models such an Audi A8, Fiat 500X, BMW X3, Volvo S60 and Vauxhall Zafira were among models emitting more than 12 to 6 times the limit on the road. The UK data shows that the average emissions for Euro V vehicles is 6.3 times the limit value and average for Euro VI vehicles 6.25 times the limit value. Clearly, the diesel car industry has failed to find durable solutions. Germany too has reported deviations from the official limit. This report shows that the worst models are FIAT Chrysler, OPEL GM and Renault/Nissan. But Germany’s investigation has also exposed the technical loophole that is compromising the emissions from diesel cars among other factors. They have termed it as "Thermofenster" or "Thermal Window", which is playing with the temperature range within which the car manufacturers operate the exhaust gas recirculation technique to reduce NOx emissions. About 630,000 diesel cars of Daimler, Opel, Audi, VW and Porsche will be recalled to fix this. In the meantime, France has also disclosed results of their testing that show violation. Diesel cars are coming under intense regulatory scrutiny in all regions. In the US, Daimler has opened an investigation into its emissions testing process at the request of the US Department of Justice. This is in response to a class ­action lawsuit filed against the company earlier. Business has taken a hit. Daimler shares were reported to be down almost 7 per cent immediately after the internal investigation was announced. It has also reported 31 per cent fall in first ­quarter profits. Even Japan's Mitsubishi Motors has admitted to rigging data on some of its models for fuel efficiency. France's Peugeot has faced raids by anti-­fraud officials to investigate emissions. The end result is high and unstable NOx emissions from diesel cars. This is a serious concern in cities of Europe where ambient NOx levels are rising. UK-based NGO Client Earth had dragged the UK government to the Supreme Court for violating the ambient NO2 standards that were meant to be met by 2010. The European Court of Justice has directed the UK government to frame an action plan to meet the air quality standards. High on-road NOx emissions from diesel cars make meeting this air quality target difficult. According to the UK government, high NOx is responsible for 23,500 premature deaths a year. A new report by Policy Exchange's Capital City Foundation and King’s College London shows that in the most polluted parts, nitrogen dioxide is four times higher than the legal limit. As many as 328,000 school children and 3.8 million workers in London are vulnerable to asthma and respiratory infections. Alan Andrews, the lawyer who had fought the Client Earth’s case against the UK government in the Supreme Court, told Down To Earth, "These reports may have sounded the death knell for diesel in Europe. Now we have official confirmation of what we have known for years: diesel cars emit far more harmful pollution when driven on the roads compared to the laboratory tests used to certify they comply with EU regulations. Most worryingly, this is true even of cars built to the latest Euro VI standard." He added, "Faced with the threat of legal action, Europe needs to unwind the last decade of disastrous policies to drive a rapid shift away from diesel towards truly clean technologies. Fiscal policies, consumer labelling and clean air zones are all needed to turn the public away from buying diesel and keeping those that are already on the road away from urban areas." The explosive evidence has provoked strong political reactions from the mayors of 20 European cities who have signed a petition to the European Union denouncing a loophole in diesel cars’ pollution limits despite the Volkswagen emissions scandal. The mayors are from Paris, Brussels, Madrid, Copenhagen, Oslo, Lisbon, Stockholm, Vienna, Warsaw, Athens, Amsterdam, Rome and London among others. They have deep concern that despite making efforts to control pollution in their cities, they are still not able to meet NO2 standards and curb the increase in deaths and illness. The policy in the European Union to incentivise diesel cars for emitting less carbon dioxide has now come under scathing attack. 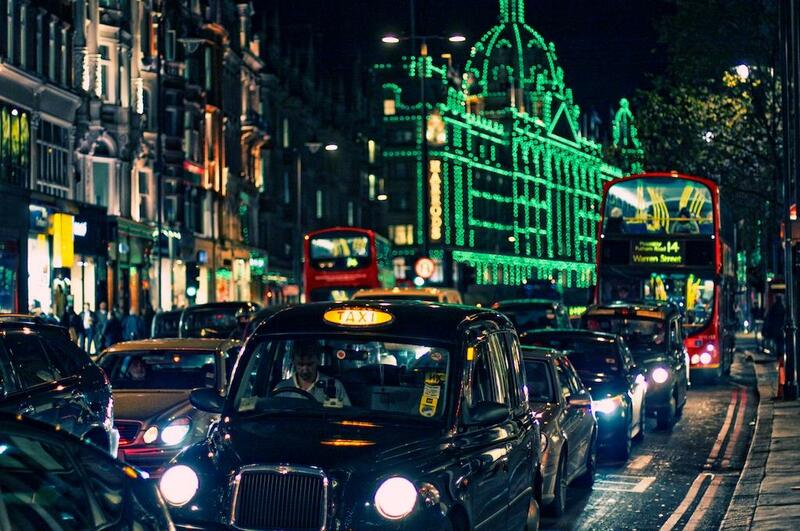 London is now seeking tighter controls on polluting traffic, including a ban on diesel cars. It is proposed that an ultra-low emission zone in central London from 2020 will levy charges on all vehicles except the cleanest vehicles. The European Union is changing the vehicle testing and certification system to more accurately reflect real world emissions. It will introduce new "real driving emissions tests" from next year. Initially, manufacturers will be able to sell cars that produce slightly over double the official limit on the roads, but from 2020 this will fall to the actual limit. In fact, mayors have criticized this as weak. The fact that some rare models have also performed well, like BMW X5 in California, shows that stringent regulation for in-use testing and compliance is critical. These developments in Europe have shrouded the future of diesel cars. Andrews said, "The onus must now be on the car industry to prove that the diesel car has a future. They should be offering free retuning, retrofit or recall to drivers and working with the EU to tighten up the new Euro VI standard." This limit to diesel technology certainly opens up a different pathway to cleaner emissions. Michael Walsh, a US-based international expert on vehicles and fuels, said, "The future pathway has had two branches for some time—diesel or hybrid—and I think hybrid which has lagged behind is now going to move ahead. And in the long term this is good news because we need to end up with battery electric fueled by green electrons and hybrids have a clearer pathway to this end." While other countries have taken quick steps to test diesel cars and tighten testing and regulations, there is no information on how bad things are for the Bharat Stage IV diesel cars in India. Officially, no data has been put out either for new cars or the cars on the road. The investigation report on Volkswagen after the global scandal is still under wraps though media reports have pointed out the problem of high emissions from these models. Not only the share of diesel cars in the new sales is half, diesel car models are multiplying and penetrating deeper into small engine segments in India. As much as 35 per cent of all diesel car models in the market are in the engine size range of 1000 cc to 1500 cc. As much as 47 per cent of the models are in the bracket above 2000 cc engine, the category that the Supreme Court in India has banned in the national capital region of Delhi. This is a critical next step in India. The Union Ministry of Road Transport and Highways will have to frame and enforce regulations for detailed testing and monitoring of actual real world emissions of vehicles after they are sold, set in-use emissions targets to be met during the lifetime of the vehicles, enforce mandatory recall programme and penalty in case of violation. Without these, India should either continue to ban diesel car sales or impose and ramp up the amount of health tax that owners of diesel vehicles must pay.